Personality disorder (PD) refers to a complex psychiatric condition characterised by emotional changeability and difficulty relating to other people. 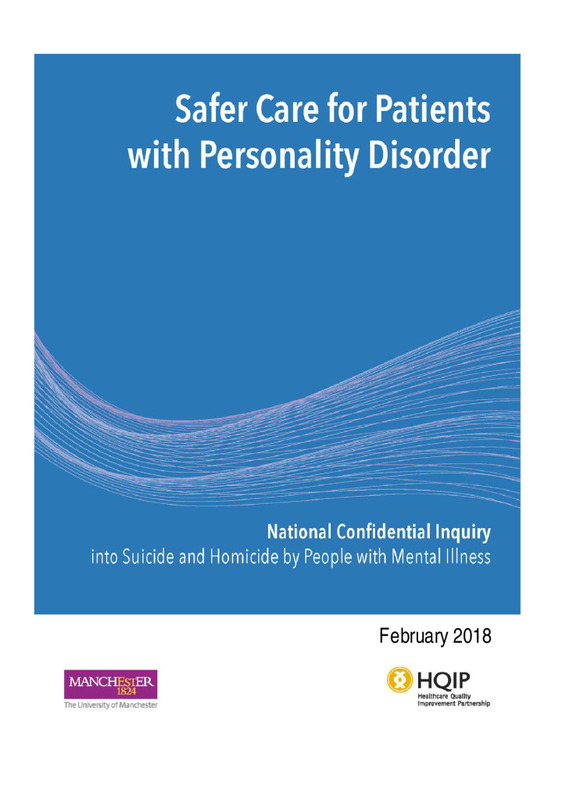 Individuals with PD are often frequent users of mental health care. However, management of PD patients is notoriously challenging and influenced by the type of PD, the degree of severity and the presence of comorbid psychiatric disorders. Problems in interpersonal functioning mean patients with PD have high levels of service disengagement and treatment refusal, and there are often difficulties in relationships between staff and patient.